A hospital where staff failings resulted in the death or significant harm to four newborn babies has been told it must make ‘significant improvements’. 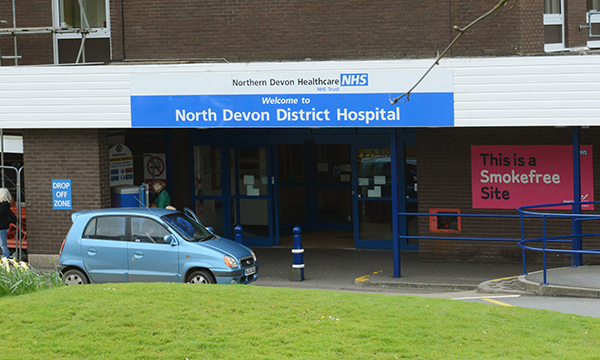 North Devon District Hospital was assessed by the Care Quality Commission (CQC) on emergency, maternity, end of life and outpatient care. In maternity care, the Barnstaple hospital had had four 'serious' incidents over five months caused by staff not correctly assessing and responding to risk. 'In maternity we found that staff were not always following best practice, resulting in cases where a baby had come to harm,' said CQC chief inspector of hospitals Ted Baker. Professor Baker said the relationship between consultants and midwives at the hospital was poor, which caused further problems. In the outpatient department the inspector found there were 'a significant number of patients waiting for eye treatment who had gone past their dates for follow-up appointments and had come to harm as a result'. The hospital was also found to have problems with cleanliness. There were low rates of training in infection prevention and control, and only 23% of patients with sepsis received antibiotics within an hour of diagnosis. The hospital's governing trust, Northern Devon Healthcare NHS Trust, was given an overall rating of 'requires improvements'. The CQC identified 21 areas where the trust must improve. The inspection report said staff were 'polite and respectful to patients at all times'. Patients in all four core areas felt they were treated well by staff. Flu vaccinations: should they become mandatory for NHS staff?